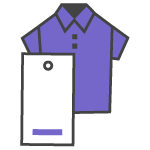 Manage your merchandise and speed up the order processing with custom retail labels and tags. Every retail business needs a strong inventory control system in order for its operations to run smoothly — and that requires retail tags and labels. The products you sell can be impossible to manage without clear identifiers that explain them. Among the innovative printing solutions we offer our retail clients, Chicago Tag & Label creates the industry’s finest custom retail tags, labels and forms. These printed solutions simplify the way you stock merchandise, expedite order processing, improve the shipping process and make it easier to catalog and manage the products you sell. Chicago Tag & Label specializes in creating only the highest-quality retail labels and tags. By choosing these custom-made products for your business, you will gain control over your inventory and minimize product losses. Since your labels are customized with your logo and name, they reinforce your branding to everyone who sees them. The retail tags, labels and forms printed at Chicago Tag & Label are made in the United States, at our manufacturing facility. They’re also priced competitively to help keep your operations cost-effective. Contact us anytime to learn more about our customized solutions. Shop our website or reach out to learn more. 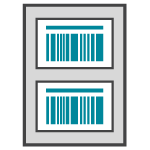 Barcode labels: Thanks to their versatility and affordability, barcodes are usually the easiest and most efficient method for automating retail inventory management. They also provide a number of benefits. Using barcodes in your operations can eliminate the possibility of human error, streamline order processing and boost data accuracy. Chicago Tag & Label can customize and print barcodes for your business so you can better track products, shipments, equipment and more. Enclosed packing lists: Expedite company production with custom packing lists tailored to your brand. Our MultiPlex™ products can be printed and applied in just three steps, while our auto-applied lists provide single-step application. Either option offers a clear way to communicate package contents to customers. Forms and form labels:When it comes to shipping orders, forms are vital. They save time, eliminate matching errors, reduce processing costs and facilitate workflow. 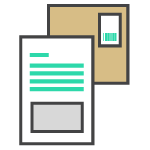 Let us preprint forms with your core information so all you need to do is add your customers’ variable data. 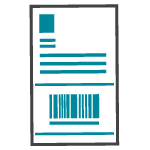 Retail tags: Simplify store operations with custom inventory tags that catalog products with scannable ID numbers. We can produce a minimum order of 20,000 tags, available in standard sizes and multiple shapes.